The United Nations Civilian Capacities Project and the International Peace Institute hosted a lunchtime policy forum on the merits of South-South Cooperation. South-South Cooperation is a valuable and growing trend. Introductory remarks were given by Ms. Sarah Cliffe, Special Adviser and Assistant Secretary-General for the Civilian Capacities Project. The panel of speakers included, H.E. 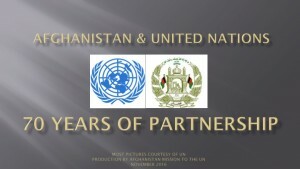 Zahir Tanin, Ambassador and Permanent Representative of Afghanistan to the United Nations, H.E. Ms. (retâ€™d) Mitra Vasisht, Member of Senior Advisory Group on Civilian Capacities, and H.E. Macharia Kamau, Ambassador and Permanent Representative of Kenya. Speaking specifically of Afghan-Indian relations, Ambassador Tanin highlighted Indian efforts that have benefited Afghans, such as the 2,000 scholarships that India has provided annually to Afghans for schooling and training in India. Other projects included the development of an Agricultural University and Indiaâ€™s $17 million grant for the modernization of a hydropower plant in Tajikistan. Ambassador Tanin demonstrated that the similar environments, history, and cultural legacies within the region renders regional neighbors most qualified to increase civilian capacity through sharing expertise and resources. In her introductory remarks, Ms. Sarah Cliffe, explained that South-South cooperation is central to increasing civilian capacities in post-conflict settings. 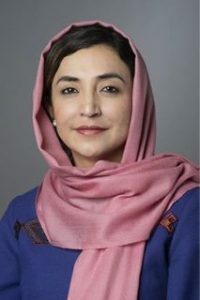 She outlined the five main deficiencies of capacity that Afghanistan and other post-conflict South countries have in common: 1) an inclusive political process, 2) basic safety and security, 3) a developed justice system, 4) economic revitalization, and 5) core government functionality. Like Ambassador Tanin, Ms. Cliffe argues that South-South cooperation is crucial to overcoming these five deficiencies. She presented CAPMATCH, the on-line CivCap initiative that will connect organizations and individuals with expertise to the people who need it most.